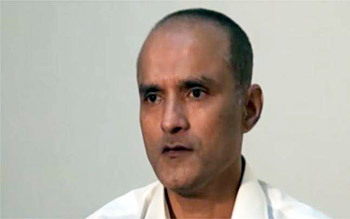 The unanimous verdict by the International Court of Justice (ICJ) staying the execution of former Indian Navy officer Kulbhushan Yadav was on expected lines because Pakistan had violated India's right, provided under the Vienna Convention, to have consular access to Jadhav despite India making 16 such requests. The Court supported India's right to seek consular access, and also acknowledged India's contention that Jadhav could be executed any time after May 19 which would mark 40 days since a military court sentenced Jadhav to death. Delivering an interim order on a plea by India, the ICJ rejected Pakistan's contention that it lacked jurisdiction in the case and held that India had a "plausible" right to access to Jadhav. Ronny Abraham, President of ICJ said, "Pakistan shall take all measures at its disposal to ensure that Mr Jadhav is not executed pending the final decision... and shall inform the court of all measures taken in implementation of the present order." Pakistan's arguments included the blatant lie that India had agreed to keep matters concerning national security out of the purview of the Vienna Convention, which naturally was rejected by the Court. Pakistan had also countered India's plea for urgent intervention saying Jadhav would not be hanged before 150 days, to which the ICJ observed, "The court notes that Pakistan has given no assurance that Mr Jadhav will not be executed before the court has rendered its final decision. In these circumstances, the court is satisfied that there is urgency in this case." The interim ICJ order caused jubilation in India, huge relief to Jadahv's family and predictable gloom in Pakistan. Harish Salve, Indian lawyer displayed the great Indian spirit in presenting the case so deftly and defending Jadhav de bono — just charging Re 1/- for his stupendous effort. Prime Minister Narendra Modi congratulated External Affairs Minister Sushma Swaraj, MEA officials and Harish Salve. Swaraj later tweeted that India would "leave no stone unturned" to save Jadhav. But what happens beyond the interim order of the ICJ? Logically, Pakistan should wait for the final verdict of the ICJ, which could take months, even years. However, the ICJ does not have the powers to enforce its order, even as the President ICJ clarified that the interim order was "binding". And so, Pakistan could simply ignore the interim order, with precedence of US, Germany and China having done so — most recent case being China rejecting ICJ ruling in favour of Philippines on China's illegal claims in South China Sea. There is no doubt Pakistan is turning more rogue with continuing China and US support. But to do so, Pakistan will have to think twice — ignoring ICJ (which is a UN body) and simultaneously harping on the 1949 UN Resolution on Kashmir. Following the ICJ interim order, India will naturally for the 17th time request Pakistan for consular access to Jadhav. Whether Pakistan will agree or not, cannot be conjectured at this stage, but if Pakistan refuses then it will automatically mean snubbing the ICJ. On the other hand, there is a small chance Pakistan may grant consular access to India, considering Pakistan foreign office spokesperson has already declared that Islamabad will have a tougher stand during the full hearings that will come up subsequently. Ronny Abraham had observed that on the matter of consular access, India and Pakistan had a "dispute". This means a trial on the Indian request for consular access to Jadhav will likely happen soon. Grant of consular access would put at rest speculation that Jadhav may not be alive in the first place. According to Harish Salve, every interim order and ruling of ICJ gets placed before the United Nations Security Council (UNSC) and any violation invites serious action. At the same time, he says, "We had not appealed against the military court verdict before the ICJ. What we presented before the international court was that denial of consular access to India to its citizen in Pakistan was an international treaty violation, a lapse that possibly seriously breached Jadhav's right to adequate legal assistance. Who knows what could have been the outcome of the trial if Jadhav had full legal assistance from India during the trial." The ICJ President is now expected to meet representatives of both India and Pakistan to prepare a timeline for filing of written submissions to take the case forward. Pakistan is likely to challenge ICJ's jurisdiction and, in that case, the court may want to settle this issue first before going ahead with India's petition. India's final objective is that ICJ set aside Jadhav's conviction and orders his release. But securing release of Jadhav may be hoping for too. Pakistan is a country that has a history of ceasefire violations, even bombarding villages for losing a cricket match to India. In the event of being granted consular access, It will be no surprise if Jadhav is found in 'induced' state of comma with medical documents proving it happened naturally. Besides, orchestrating a prison riot to murder Jadhav (like Sarabjit) can happen any time. In both cases, finger pointing at Pakistan would be without actual proof. Besides, Pakistan can follow up with a sham trial through civil court, resulting in the same verdict. In a further development, Pakistan reportedly filed a plea in the ICJ on May 19 to have the case concerning death row of Kulbhushan Jadhav 'reheard' within six weeks.